This is an amazing opportunity. 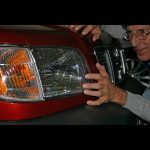 LensDoctor headlight restoration training for free. The need for a quality repair is huge! Just look around, cloudy headlights are everywhere and the numbers of are growing daily. Done right, this is something that every car dealer, repair shop and body shop could profit from too. My friends told me I should sell franchises. But franchising takes lots of money that few people have right now. So this is my idea, create a franchise like business without all the franchise fees! Don’t miss out… sign up TODAY!